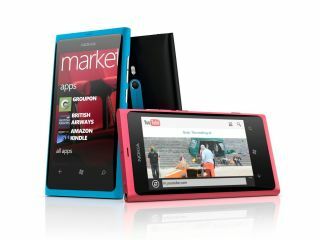 Nokia has confirmed that the newly-launched Lumia 800 will be given a software update in the new year to resolve battery issues. "On Monday 12th December some of our customers started to comment in various social media that the preloaded diagnostics tool in some of the Nokia Lumia 800 phones was showing lower battery capacity than expected. "We immediately started to investigate these reports and can now confirm that while the battery itself is fine, a software problem on certain variants is limiting the phone's ability to access the full battery capacity," wrote Nokia. "The good news is that as this is a software problem it can be easily resolved. The planned software update in early 2012, as well as including many performance enhancements, will also include a fix that will enable the affected phones to access the total battery capacity." "For anyone who does not want to wait for the software update, Nokia can arrange for a replacement phone. Anyone who requires any further clarification should contact Nokia Care." "Dialling ##634# opens the diagnostics tool. By accepting the disclaimer and then selecting 'Battery Status' from the list of options, anyone will be able to see their available battery charge capacity. "If your full charge capacity reads less than 1000 mAh then your phone is affected with this specific issue and you may find it is necessary to charge your phone more frequently than normal. Once the software update has been applied, you should experience much better battery life." We found relatively poor battery life in our full Nokia Lumia 800 review - something that the brand was keen to dismiss at the time, but now seems to have accepted there's an issue and while it's thoroughly perplexing to see the Finns launch a phone that can't use all its battery, here's hoping the problem will melt away in 2012.